Positron emission tomography (PET) of brain amyloid is a technology that has been approved by Food and Drug Administration and European Medical Agency, but its clinical utility in medical practice requires careful definition. To provide guidance to italian dementia care practitioners, patients, and caregivers, a group of experts from “Associazione Italiana di Medicina Nucleare” (AIMN), “Associazione Italiana di Psicogeriatria” (AIP) and “Società Italiana per lo Studio delle Demenze” (SINDEM) convened the Italian Interdisciplinary Working Group on Amyloid Imaging. The Working Group considered a range of clinical scenarios in which amyloid PET should be recommended. Peer-reviewed, published literature was searched to ascertain available evidence relevant to these recommendations. Although empirical evidence of impact on clinical outcomes is not yet available, a set of specific recommended use criteria were agreed to define the types of patients and clinical circumstances in which amyloid PET could be used. Both correct and incorrect uses were considered and formulated. Because both dementia care and amyloid-PET technology are in active development, these recommendations will require periodic reassessment. Authors are listed in alphabetical order as they contributed equally to this work. 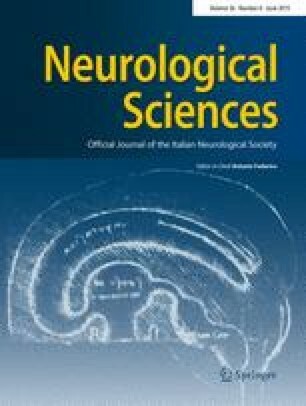 Italian Interdisciplinary Working Group, AIMN Italian Association of Nuclear Medicine, AIP Italian Association of Psychogeriatrics, SINDEM Italian Neurological Society for the Study of Dementia. Alessandro Padovani has received honoraria for speaking at Symposia from General Electrics-Health, Lundbeck, and Novartis; Flavio Mariano Nobili has received honoraria for speaking at Symposia from Eli Lilly & Co and Piramall; Ugo Paolo Guerra, Daniela Perani, Sandro Sorbi, Alberto Pupi and Marco Trabucchi declare that they have no conflict of interest.